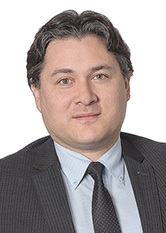 Edmund Troya focuses his practice on complex bankruptcy, creditors' rights, and commercial litigation. He represents debtors, secured lenders, indenture trustees and other creditors in transactional and litigation matters concerning bankruptcy and insolvency law. Mr. Troya is currently working on various Chapter 7 trustee matters, including the firm's representation of the SIPA Trustee overseeing the liquidation of the Bernard L. Madoff Investment Securities LLC and Bernard L. Madoff consolidated estates.